In order to provide all the elements of the whole journey a client may require, there are times when we invite trusted specialist partners to work with us on a joint bespoke project, for which we have negotiated discounted rates for our clients. However, should you decide to approach our partners directly, please do tell them you were referred by ourselves in order to continue to benefit from discounted rates. We have worked with these teams for many years, and between us have delivered great solutions for our clients. We look forward to continuing to help new and existing clients. CRM Genies is a collaboration of three entrepreneurial companies who bring their skill sets together to deliver the full solution for our clients. Each company brings their own area of specialism to our projects. There are associated companies that we also have partnerships with to add value to the services we offer our clients. We understand that businesses have their own unique sets of challenges for growth. We will invite specialists such as A2ZCloud if additional resources are required where they can bring their development expertise. We have worked on joint projects in cloud technology with the team for many years now, and they are trusted partners. They provide an extensive range of tailored online solutions. Whether you are looking to integrate existing systems to your CRM, or to develop new APIs, or an accounting and invoicing tool, Helpdesk solution, or a combination of these or solutions for a more ambitious project, then we can ensure we have the right experts to deliver that part of the project for you with us as required. 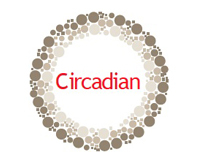 Circadian offers a specialist, outsourced remuneration management and back office administration service to Financial Advisers and other firms who want to save money and make their back office systems more efficient and reliable. Within the Circadian team we have over 50 year’s industry experience and work with some of the best advisory firms in the industry. Therefore, our methods are tried and tested to help you get the most out of your back office function. Cre8 Sales Solutions are a team of Telemarketing and Lead Generation Professionals. Julia Smith and Tracy Gilmour who lead the team do not believe in ‘sales calls’ but in great communication over the phone, they enable businesses to achieve more through a structured approach to telemarketing. Whether this is to drive sales, for brand awareness, or building new relationships, to name a few. Intuitive Support Services provide Professional Outsourced Administration for the Financial Services Industry. Because we engage with them to train their team, we get to know the quality of the services they provide to their clients and indeed to some of our clients also. We are happy to recommend them. Please refer to their Technology Section here. Jigsaw Tree is a business support company who we invite into projects if the client’s requirements fall outside of our best of breed. They specialise in the financial services sector and are highly experienced in regulatory, back office and platform technology. They have over twenty years experience with many different types and size of firms, offering practical help in effecting change through technology. Superfast IT specialise in providing outsourced IT support and services tailored-made for the SME and non-profit sectors, to businesses of between 5-100 users in the West Midlands region covering all industries. Superfast IT was founded by James Cash in 2002, who leads a small and friendly team that are locally based and always willing to help. They have gained a strong reputation for just getting the job done in a fast and friendly way, and have over 60 happy clients on their books. The Adviser Lounge aims to offer something different to the financial advisory market, by providing high quality content in an innovative format. Registered users will be able to fully participate in The Adviser Lounge community, through commenting on posts, making connections with one another as ‘friends’ to exchange confidential messages and join groups of interest to create and join in discussions. Informed Training are pleased to announce White House Cancer Support as our nominated charity to support. White House Cancer Support has been helping cancer patients and their families since 1984, giving emotional support, information and practical help to people from the borough of Dudley and surrounding areas. They have a drop-in centre is open weekdays and a telephone helpline to give support outside office hours. They provide a range of servcies from provision of transport helping patients attend hospital appointments to a resource centre which has a comprehensive range of information and can put people in touch with specialist advisors if needed. White House Cancer Support also run group meetings which provide an opportunity for people affected by cancer to share experiences and give mutual support. Specialist nurses attend many meetings to provide information and support. Complimentary therapies, such as reflexology, aromatherapy and Reiki, used alongside orthodox medical treatment, may help alleviate stress and anxiety. One-to-one counselling is available and support is offered to bereaved carers. All services are provided free of charge for patients and carers. Further information can be found at The White House Cancer Support Website. We offer Bespoke Workshops, Training days and Consultancy (Second pair of independent eyes), either onsite at the client’s office or chosen location or by remote desk share sessions. We do have access to private Training Rooms if required. (We may ask for a contribution to the cost where necessary). The method of delivery will be dependent on the clients bespoke requirements, and the capacity to deliver the elements effectively. We will customise the system to match your agreed Business Process requirements. These are unique to your company and so we will ensure that all the fields relate to your required Business Process protocols. We ensure that your chosen system fits around your company requirements, not making your requirements fit the system. Customisation of your existing or new CRM to match your Business Process and ensuring return of your licence investment in your business software. Analysing in more depth, your current Business Processes and how you capture these from an existing technological perspective. We then make recommendations of how to tweak, amend to improve and streamline your Business Process within your systems to save time, reduce duplication, and improve communication visibility with your Colleagues, Prospects, Clients and Suppliers – improving your relationships even further. Whether you have an existing CRM, considering implementing a new CRM, or even if you are not sure what a CRM is Informed Training can help. We carry out a remote desktop share screen to analyse your existing system in relation to your current high-level Business Process. We will give hints and tips, ideas to increase automation, reduce duplication, and give you hints and often much more.